Adrian joins Pete at the roundtable to talk about Stephen King's It! Pete's got a spoiler-free review this week! Plus, Age brought his Nintendo Switch over and well, Pete's never even seen one up close before, let alone ever played it! Watch as Pete reminds himself and everyone else in Internet Land why he doesn't play video games anymore. (Hint: He's just bad at them) Some great comics to talk about, not to mention classic 80s horror movies and Abbott & Costello! Hit that play button and find out what's up! ...Or who's up? ...Who is on first?!?! 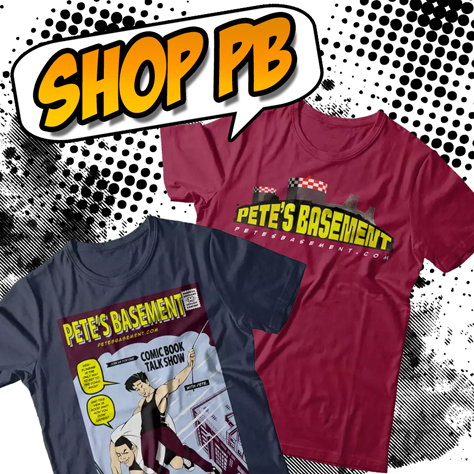 It's Pete's Basement Raw and Uncut!! 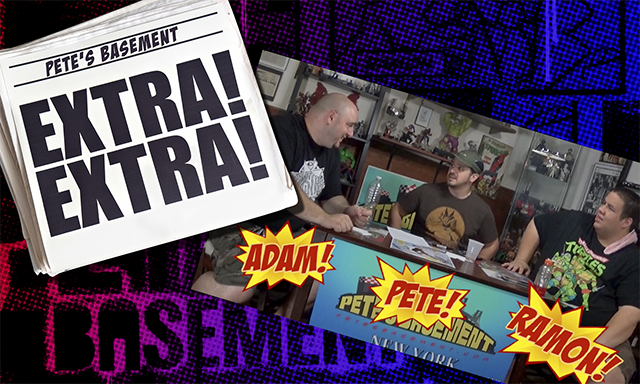 That's right- it's a Civil War-length episode of Pete's Basement guest-starring Dimitrios and Greg! Yes! They are alive! They survived the drunken madness of Episode 400 to join the roundtable this week just in time to talk about Civil War! Who's Team Cap and who's Team Iron Man in the Basement? The boys have a full review of their favorite parts of the movie. 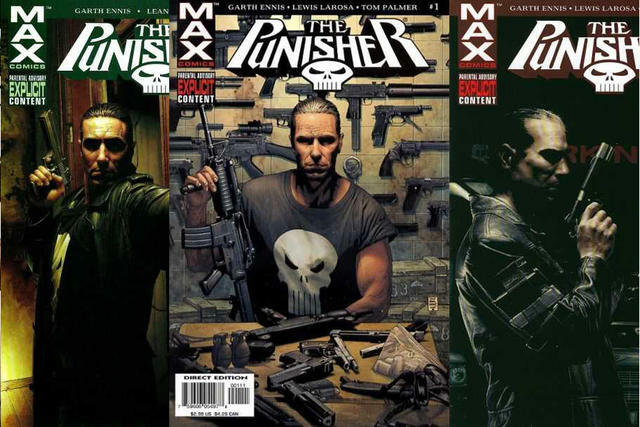 The Punisher is Pete's new favorite book (of course) and the boys have a few oddballs that you might have missed, like Alpha King, Satellite Falling, and The Fourth Planet. HE'S BACK!! Garth Ennis Returns to Punisher!! Rich's Tome page reveal! It took him a while, but he got kinda attached. Plus Tich sits in at the roundtable to discuss this week's books!